The LEGO Movie Videogame software © 2014 TT Games Publishing Ltd. Produced by TT Games under license from the LEGO Group. LEGO, the LEGO logo, the Brick and the Knob configurations, and the Minifigure are trademarks and/or copyrights of the LEGO Group. © 2014 The LEGO Group. THE LEGO MOVIE © The LEGO Group & Warner Bros Entertainment Inc. Gandalf appears courtesy of New Line Productions Inc. The Hobbit: An Unexpected Journey, The Hobbit: The Desolation of Smaug, “The Hobbit: There and Back Again,” Gandalf, The Hobbit, and the names of the characters, events, items and places therein, are trademarks of The Saul Zaentz Company d/b/a Middle-earth Enterprises under the license to Warner Bros.Interactive Entertainment. Nintendo 3DS and WiiU are trademarks of Nintendo. © 2012 Nintendo. ” ”, “PlayStation”, “PS3”, “ " and “ “ are trademarks or registered trademarks of Sony Computer Entertainment Inc. “ ” is a trademark of the same company. All other trademarks and copyrights are the property of their respective owners. LEGO MARVEL SUPER HEROES software © 2013 TT Games Publishing Ltd. Produced by TT Games under license from the LEGO Group. LEGO, the LEGO logo, the Brick and the Knob configurations and the Minifigure are trademarks of the LEGO Group. © 2013 The LEGO Group. TM & © 2013 MARVEL & Subs. Nintendo 3DS and Wii U are trademarks of Nintendo. © 2012 Nintendo. “ ”, “PlayStation”, “PS3”, “ " and “ ” are trademarks or registered trademarks of Sony Computer Entertainment Inc. “ ” is a trademark of the same company. All other trademarks and copyrights are the property of their respective owners. All rights reserved. Trademarks are property of their respective owners. 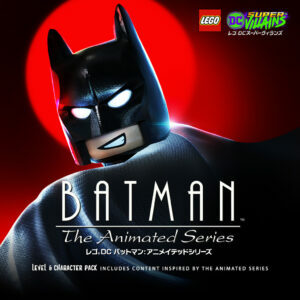 LEGO BATMAN 3: BEYOND GOTHAM software © 2014 TT Games Ltd. Produced by TT Games under license from the LEGO Group. LEGO, the LEGO logo, the Brick and the Knob configurations and the Minifigure are trademarks of the LEGO Group. © 2014 The LEGO Group. All rights reserved. © 2016 Warner Bros.Entertainment Inc. All rights reserved.